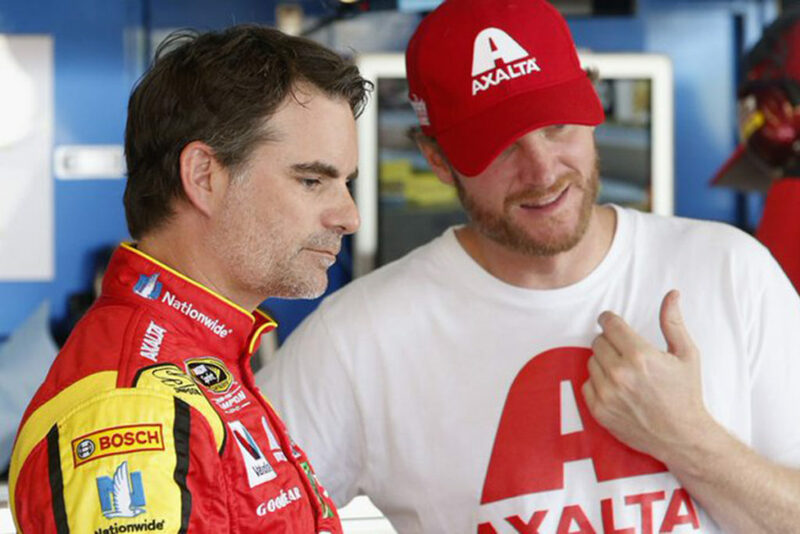 RacingJunk News > Racing > NASCAR > Who Should Sit in For Dale Jr? 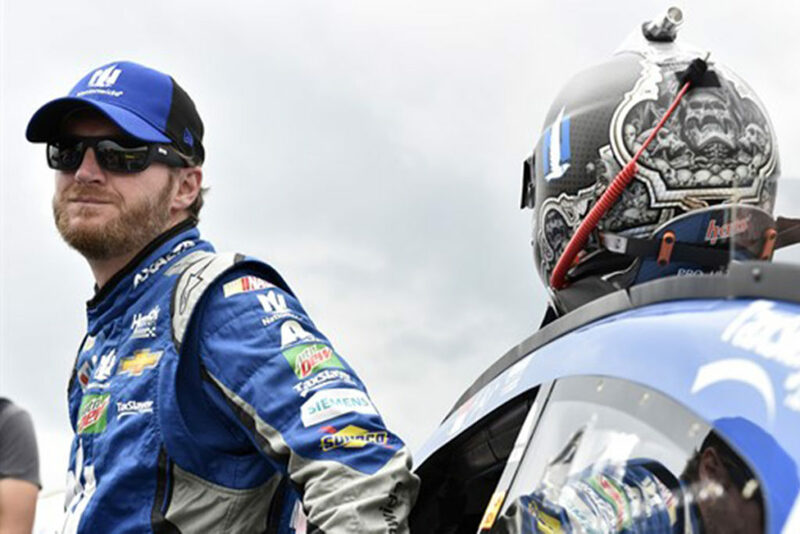 Hendrick Motorsports just announced that NASCAR’s most popular driver, Dale Earnhardt Junior, will be out for the rest of the 2016 NASCAR season. This ends what looked to be an excellent run for the Cup championship for Dale Jr. Dale’s championship prospects looked good for the first half of the NASCAR pre-season, although a few unlucky events started causing him to slip in the standings. Jeff Gordon and Alex Bowman have been subbing for Junior lately, and will continue to do so for the rest of the 2016 season. However, should they be? Should someone else be given the job? 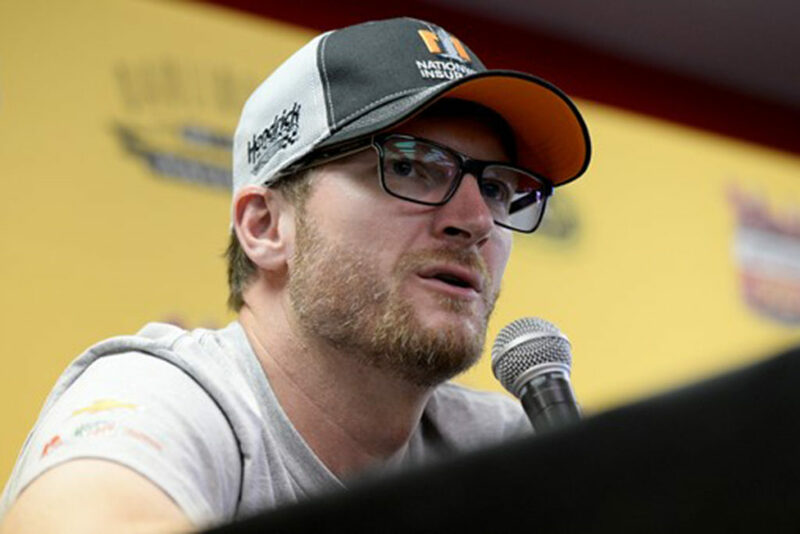 During the week following the Quaker State 400 at Kentucky on July 9th (he finished 13th), Junior announced that he would step aside “for a week or two due to concussion-like symptoms.” You may recall that back in 2012 Junior had his bell rung pretty hard a couple of times, and was pulled from the car for a few races because he had a concussion. However, he hadn’t been involved in any wrecks during the race, so most of us wondered how he could be experiencing concussion-like symptoms after not being in a wreck. NASCAR is one of many professional sports that have recently gotten very serious about head injuries. There used to be a time when if you could walk a reasonably straight line after a bad wreck, you’d be cleared to climb back into the car the next week or race. This isn’t true anymore. Drivers are constantly monitored for even mild symptoms of a variety of brain injuries, and if they exhibit any symptoms they are strongly encouraged to sit out a race or two until those symptoms clear up. However, it’s rare for a driver to come forward, admit to this, and voluntarily step aside, especially when that driver is in the thick of a race to the Chase. During his recovery from the original concussion back in 2012, Junior was under the care of Doctor Micky Collins of the University of Pittsburgh Medical Center. 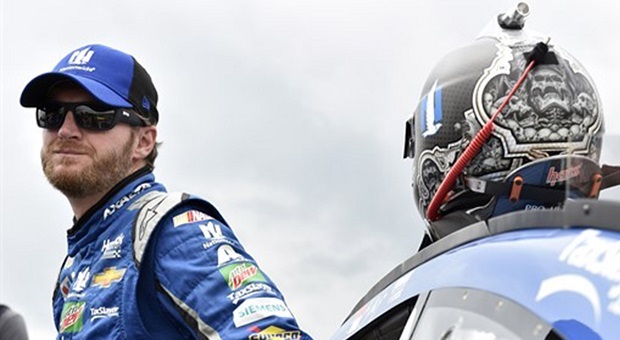 After the Kentucky race, Junior voluntarily consulted with Doctor Collins again, informing him that “he wasn’t feeling right.” The Dr. examined him and said he was experiencing symptoms of different types of concussions – vestibular, eyesight, and mood. 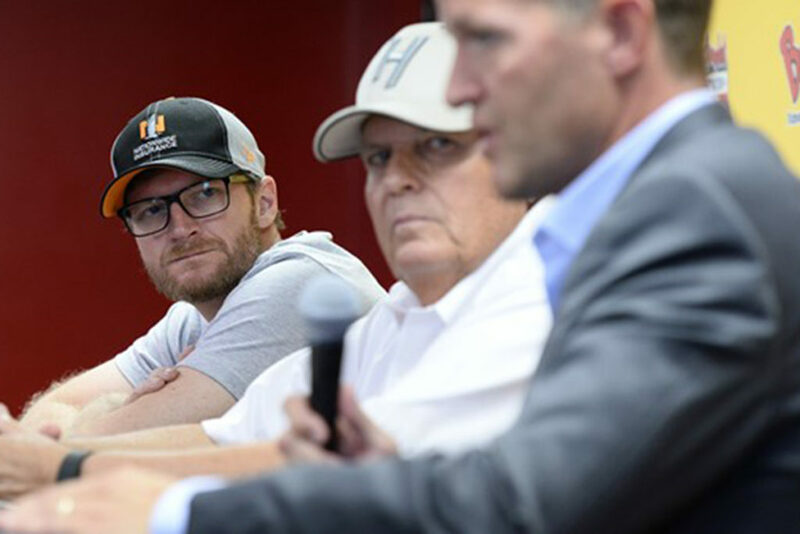 While both Dale and the doctor agree that he’s nowhere near ready to climb back into the driver’s seat, they say his recovery is speedy and right on schedule. Team owner Rick Hendrick announced that Dale has been resigned and the plan at the moment is for him to return to NASCAR racing in time for the Daytona 500 next year. 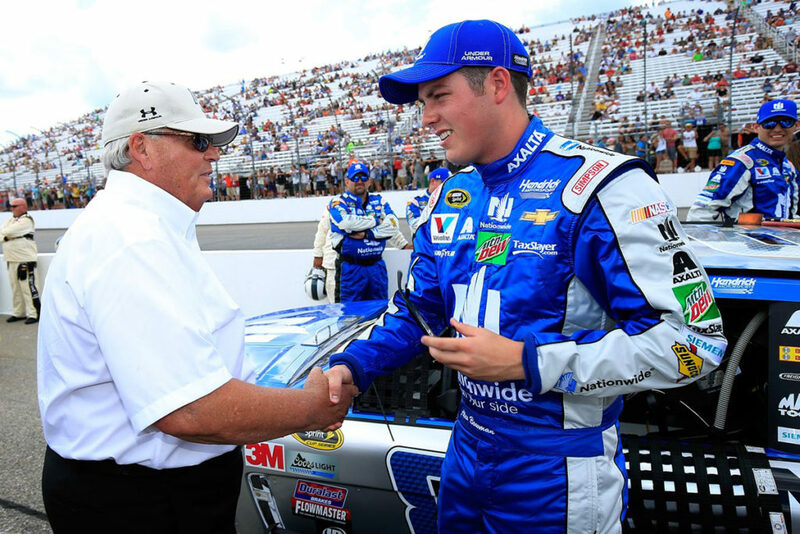 Hendrick Motorsports announced that Alex Bowman would sit in for Earnhardt at New Hampshire (he finished 26th) and that, if needed, Jeff Gordon would be summoned out of retirement to step in at the Brickyard for the Crown Royal presents the Combat Wounded Coalition 400 (Gordon finished 13th). 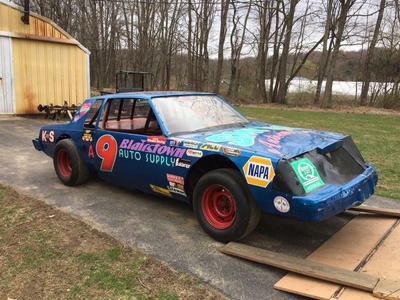 This announcement got quite a few people in the NASCAR-related forums talking, including me. Sure, we missed knowing that Jeff was out there on track, but he’d retired already. There was a huge buildup to that “official” retirement when Chase Elliot was given the keys to the #24 car. 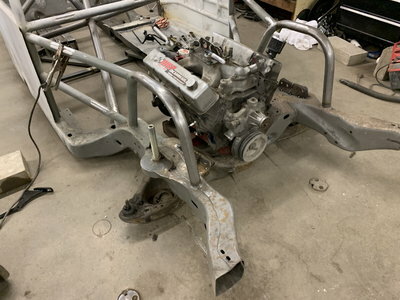 While there have been a few people who were either indifferent to or supportive of HRM putting Jeff in Dale’s car, most commenters out there are not happy. The consensus is that since Jeff’s career is done, Mr. Hendrick should be giving someone else a chance to, if not make a name for themselves in NASCAR’s top level, at least get some much needed practice and exposure there. Until very recently, it’s been agreed that Bowman should be the exclusive Dale Junior substitute driver until Junior jumps back in the seat. He’s a young, up-and-coming driver who needs the experience. HRM announced the schedule of who would be in the car at what race yesterday. Of the next 12 races, including Darlington, Gordon will be in the car four times – Darlington, Richmond, Dover, and Martinsville. Bowman will be in the car for the other eight races. Hendrick Racing also made another big announcement concerning drivers recently. 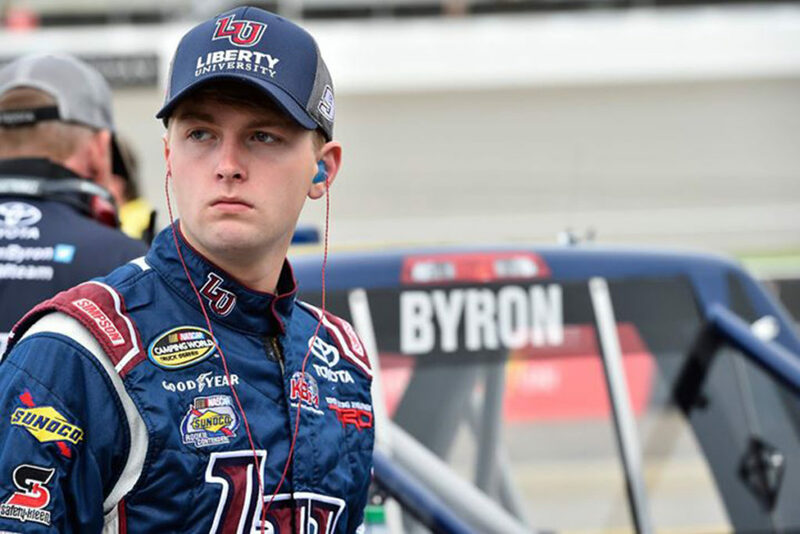 William Byron, the kid driving truck for Kyle Busch Motorsports in the Camping World Series (and leading it at the moment) was just signed to drive in the XFINITY Series for Junior’s company, JRM. Of course, this means that now a number of people, myself included, are starting to say that maybe Byron should be given some wheel time before the end of the year to give him some experience for next year. Sure, Mr. Hendrick wants to win the Owner’s Points Championship at the end of the year. I get that. I also get that since Bowman and Gordon have more Sprint Cup experience, they are the better choices to help Mr. Hendrick realize that goal, as far as maximizing the points-earning potential of the 88 car go. However, I think he should be looking more towards the future and helping to ensure that Byron hits the ground at a sprint (pardon the pun) next year, instead of having to take a couple of points races next year to familiarize himself with how a car as compared to a truck feels on the track. Putting Byron behind the wheel for at least two or three of the twelve remaining races instead of Gordon would be better for the team going forward. 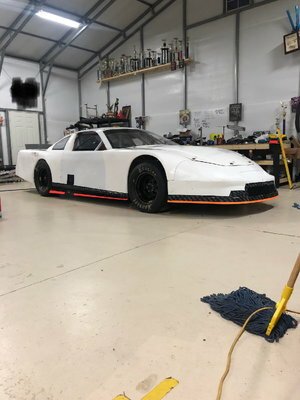 Let Jeff enjoy his retirement and let Byron get some experience in a car before he has to start competing for the XFINITY championship next year. What do you think? Should Hendrick put William Byron in the 88 for a few races this year to help get him up to speed in a car as compared to a truck? Should Bowman be in the 88 for all of the last 12 races? Should Gordon? Tell us what you think in the comment section below. We’d love to hear from you. 1 Comment on Who Should Sit in For Dale Jr? Bowman should be the sub, but I understand the sponsors expect more tho. Too bad it wasn’t the beginning of the year when Gordon was in the booth.